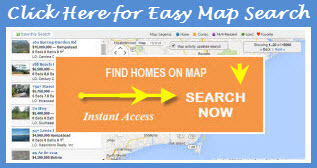 Homes For Sale In Masonboro- Real Estate in the Masonboro area. Search homes for sale in the Masonboro area. Real Estate in the Masonboro Area? The areas surrounding Masonboro Sound Road and Masonboro Loop Road are perfect examples of suburban neighborhoods in coastal communities. Part of Wilmington, these areas are popular with families as the safe neighborhoods, plentiful natural areas, and good schools create a great place for the whole family. Residents of the Masonboro area have easy access to a range of business and recreational activities. There is an ample supply of natural areas nearby, like the Trails End Park where public access to the Intracoastal Waterway for boaters and kayakers is provided. There are also numerous Marinas and Boatyards are just a short drive away. Just a short boat ride across the Intracoastal Waterway is Masonboro Island, a beautiful, uninhabited 8.4 mile stretch of beach. Complete with marsh and tidal flats perfect for exploring and home to federally protected species, this island is a unique and attractive attribute of the area. A strong sense of community is evident throughout the Masonboro area. Families and friends can often be seen gathering together to spend a day outside or catching up over a shared meal. The area perfectly captures the closeness of a small neighborhood, while still providing for plenty of activities and conveniences just a short distance away. In one direction is the historical Downtown Wilmington with a bountiful supply of shops, restaurants and attractions. In the other direction are the beautiful and pristine beaches of Wilmington, where visitors can surf, fish, or just relax in the sand to their heart’s content. This area provides all the conveniences one could want, while still maintaining the quiet and communal feel that it is known for. Part of New Hanover County, Masonboro residents are served by Parsley and Bellamy Elementary Schools, Myrtle Grove Middle School, and Hoggard and Laney High Schools. New Hanover County’s public schools are considered to be amongst the best in North Carolina, making this area great for families and education. 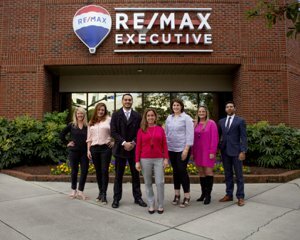 Wilmington is known for being a great place to work. With a nearby business district that supports industry giants and small business alike, the city has consistently been ranked as a top place for businesses and careers. The closeness of all Wilmington has to offer provides plenty of opportunities for economic growth.